• High speed data transfer at 37GB per minute (*1). • By attaching plug-in unit (optional) for HDD attachment, HDD connector damage when attaching/removing HDD can be prevented, and attaching and removing time can be shortened. 2 ports x Native SAS/SATA/USB3.0　ATA via adapter. professionals. Full forensic functions for digital investigators. Up to 10 devices can be connected using linkage cables, enabling simultaneous copying of 59 devices and simultaneous deletion of 60 devices. By attaching plug-in unit (optional) for HDD attachment, HDD connector damage when attaching/removing HDD can be prevented, and attaching and removing time can be shortened. The Demi YG1040 is an all-in-one solution that performs every necessary function to all hard drives and solid state drives, including interfaces such as SATA, ATA, IDE, SCSI, SAS, and Fibre Channel (FC). Its high speed duplication capabilities can reach up to 36GB/min which means the only speed limiting factor is the storage drive itself. It also features 2 master ports to allow 1 to 1 duplication to 2 different master drives at once. It can also erase up to 3 drives simultaneously, mixing the size and interfaces of the drives. Test functions are also included to allow quick check of the storage drive to confirm it is still in proper working condition. If repair is necessary, the Demi YG1040 will reallocate bad sectors on a hard drive.When running processes on the Demi YG1040, a log file is created showing information of the storage drives connected and the exact process that was performed to the drives. These log files can be stored on a USB thumb drive or saved on a connected PC with the optional software. IDEAL SOLUTION FOR:IT departments – Whether you manage a large or small company’s IT network, there are times when a hard drive needs to be duplicated or erased. Sometimes the hard drive is from a PC / laptop, or maybe its pulled from a server. With the Demi XG3020 all-in-one solution, the IT department will only need this one tool to handle all the requirements necessary to backup the data in case of a failing hard drive or have it securely erased in the case of an employee leaving the company. Supports SATA 6Gbps. ATA storage is supported by using optional products sold separately. Can connect to various interfaces with single unit.Ultra high speed data transfer at 37GB per minute. (Theoretical value. Varies according to performance of connected devices. )Execution logs can be immediately saved to USB memory connected to the main unit. Supports NSA (National Security Agency) recommended, DoD (Department of Defense) conforming, U.S. military and NCSC systems. Enables deletion operation report creation by using terminal software (sold separately). Enables high speed copy from master storage connected via USB. (USB 3.0)Enables simultaneous copying of 2 RAID master HDDs. ⊙ Speed transfers up to 18 GB per minute. ⊙ Data Sanitization: quick erase, full erase, secure erase, and DoD erase. ⊙ Open platform design supports multi-interface HDD/SSD. ⊙ Log report management records all task details for enhanced production management. 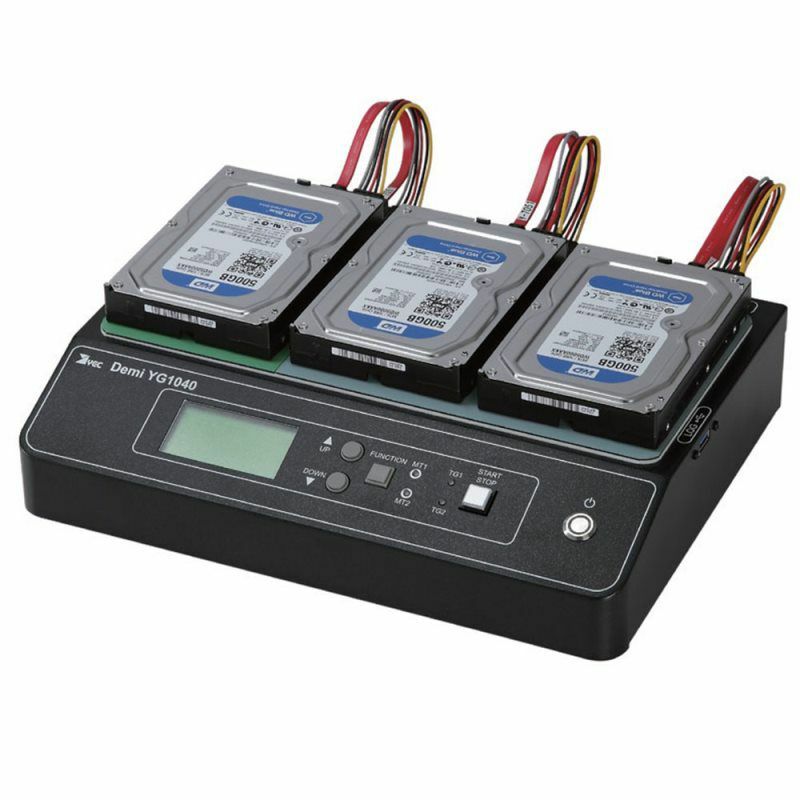 MT series is a professional SATA HDD duplicator, specially designed for high volume duplication. 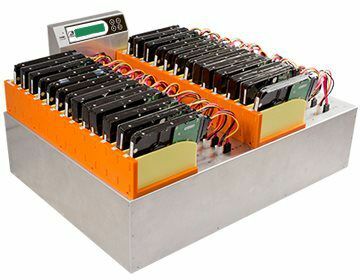 U-Reach adopted a unique multitasking technology that can simultaneously copy 25 HDD targets with a high transfer speed of 9 GB per minute. We guarantee the highest productivity without speed degradation, even as the number of targets increase. 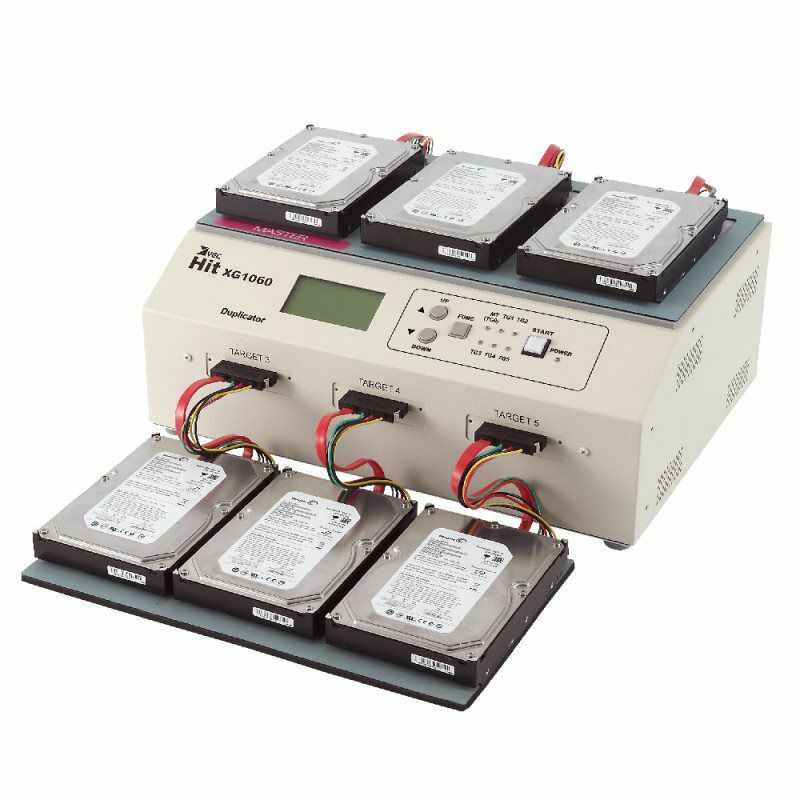 The MT series SATA HDD duplicator provides four copy modes: quick smart copy, all partitions copy, percentage copy and whole HDD copy that all meet different duplication task requirements. The quick copy mode copies data and skips blank area. NTFS, Linux (Ext2/Ext3/Ext4), FAT/FAT32 and Mac (HFS, HFSX, HFS+) formats are all supported with quick copy mode. 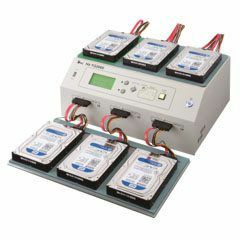 In addition, the MT series SATA HDD duplicator is equipped with different levels of secure erase functions, Quick Erase, Full Erase, DoD 5220 Erase government standards and Secure Erase, which can fulfill different levels of HDD wiping security. U-Reach SATA HDD duplicator copies at 9GB/min on all HDDs simultaneously, without any speed degradation as number of targets increase. This duplicator is great for manufacturers. Whole HDD Copy supports various partition formats. This mode identifies HDD Windows (FAT16/32/64, NTFS), Linux(ext2/ext3/ext4) and Mac(HFS, HFS+, HFSX formats. It will copy only the data and system contained area, which enhances the copy time. Complies with U.S. Department of Defense erasure standards. A National Institute of Standards and Technology 800-88 accepted technique for properly purging hard drives. This method is supported by almost all modern SATA HDD. Supports Advanced format HDD, Up to 9TB device. Supported OS: Linux, Unix, Windows, Macintosh, etc. Flawlessly MONITORS work progress during operation. It displays all information, such as writing speed, operation time, percentage of completion, etc. for EVERY PORT, which is a powerful tool for sorting out the HDD writing lag and ensuring the operational efficiency. All the information you need will appear on the PC screen. 1. Duplication status is monitored from PC while connected to it. 2. "iSecuLog" shows and records the brand name, model, S/N, duplication time, result of every HDD from all the ports and the info of both source HDD and target HDD. 3. Slow R/W speed HDD detection: lagging HDD can be easily sorted because user can see the duplication speed of every port in "Event Log". ‧ Records operation time, each port’s process details, including HDD’s model, capacity, S/N, result (pass, fail). When the HDD duplicator stops executing any function, the machine will automatically cut off the power to each port to protect the HDD from damage during removal from the HDD duplicator. The power to each port will only be supplied when the machine is on. There are two operational modes: standalone and PC-link. Each mode suits various needs. Standalone is an extremely simple, user-friendly operation with only four buttons needed to accomplish infinite duplication demands.